SIGMAR POLKE, Höhere Wesen befahlen: rechte obere Ecke schwarz malen!, n.d. 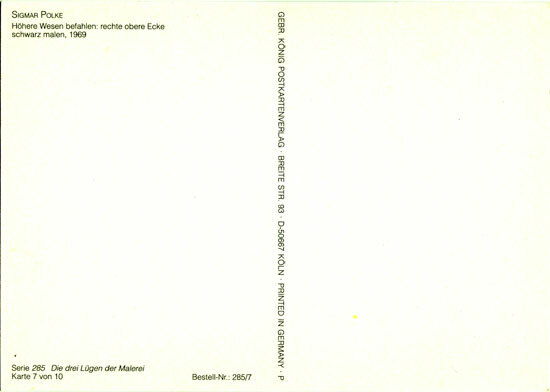 This card has been published as part of a set of 10 and was not as such signed. 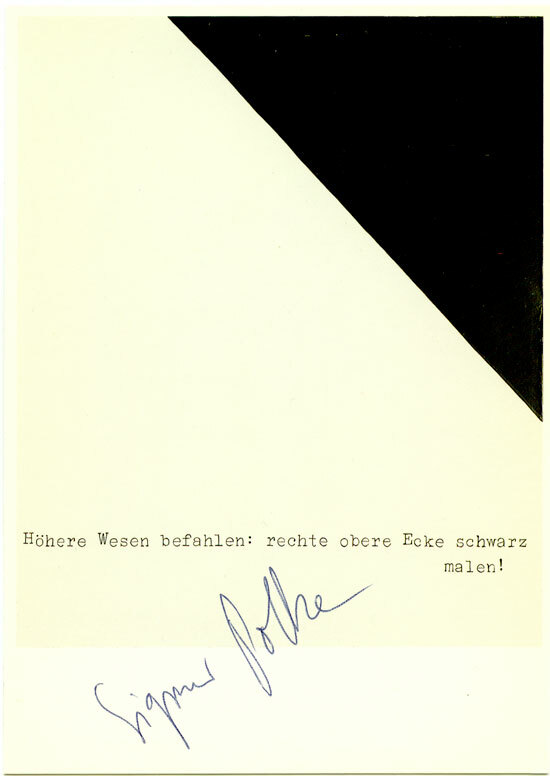 Nevertheless in combination with the René Block poster ‘Höhere Wesen befahlen: rechte obere Ecke schwarz malen!’ this signed postcard creates an authorization of both the card and the poster that is different from the original painting, due to the added shadow in the print.